Mersen is pleased to announce the availability of our most popular HP10M, HP15M, and HP15G series HelioProtection® 10mm Photovoltaic Fuses in bulk packaging. The new bulk packaging is designed with the customer in mind – by increasing the product count per pack and reducing unpacking time, it will dramatically decrease the volume production set-up time and cost. Also available is the Mersen PV Fuse Bulk Packaging Reference Guide. To order these products in bulk packaging form, simply add a ‘-B’ suffix to the desired standard Catalog Numbers listed in the Guide, noting that quantity ordered represents the number of bulk pack containers and not the number of individual products. 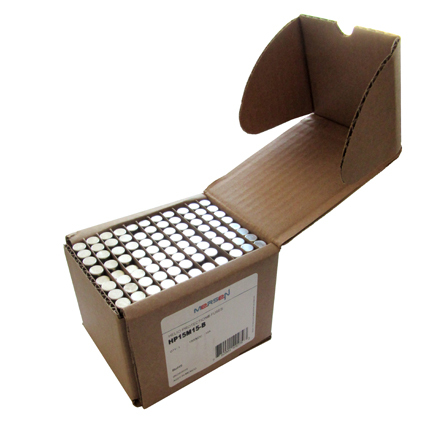 As an example, ordering one (1) HP15M15CC-B will consist of one box containing fifty (50) HP15M15CC fuses. The National Electrical Code® sets standards and safety requirements for electrical installations in the United States. It's midway through the 2017 code cycle, and this is a great time to review changes to requirements for Surge Protective Devices (SPDs). Mersen's UL Type 1 SPDs provide critical protection to ensure public safety and well being. Mersen’s Copper Nickel 90/10 and 90/30 alloys vacuum brazed Cold Plates offer superior resistance to seawater and other harsh water applications, eliminating the need for expensive separate coolant loops. Mersen has mastered vacuum brazing technology to achieve a guaranteed seamless water tight design resulting in an extremely robust and flux free heat sink with excellent thermal performance. Generating electricity from solar energy is an extremely reliable process – as long as it’s properly protected! Protect your solar power investment with electrical components specifically designed for PV Applications! Mersen's new flyer details Mersen's PV solutions by product type and installation location. Mersen Knowledge Center – Electrical Power is Mersen North America’s new official online free E-learning portal for electrical distributors, engineers, and end users. Visitors to the portal will find a broad library of 22 different training modules related to basics of electricity, fuses, and surge protection products and an overview of how these products are applied in various applications.